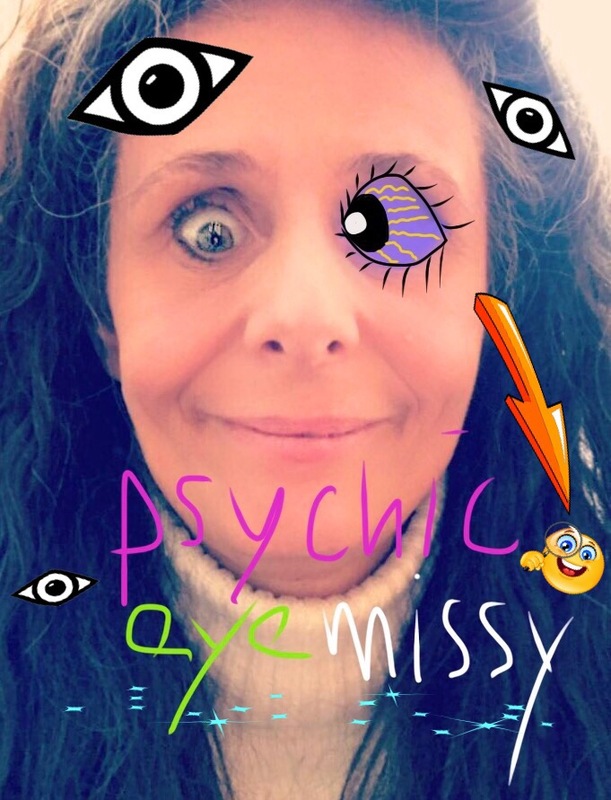 As some people would find it very interesting to be an acknowledged psychic and are eager to be one; I AM NOT! Pleassee don’t let me be psychic, no I don’t want to! Get that third eye away from me! So what are you going to learn from this particular blog item? Probably nothing, nothing at all. No really; nothing to learn here. 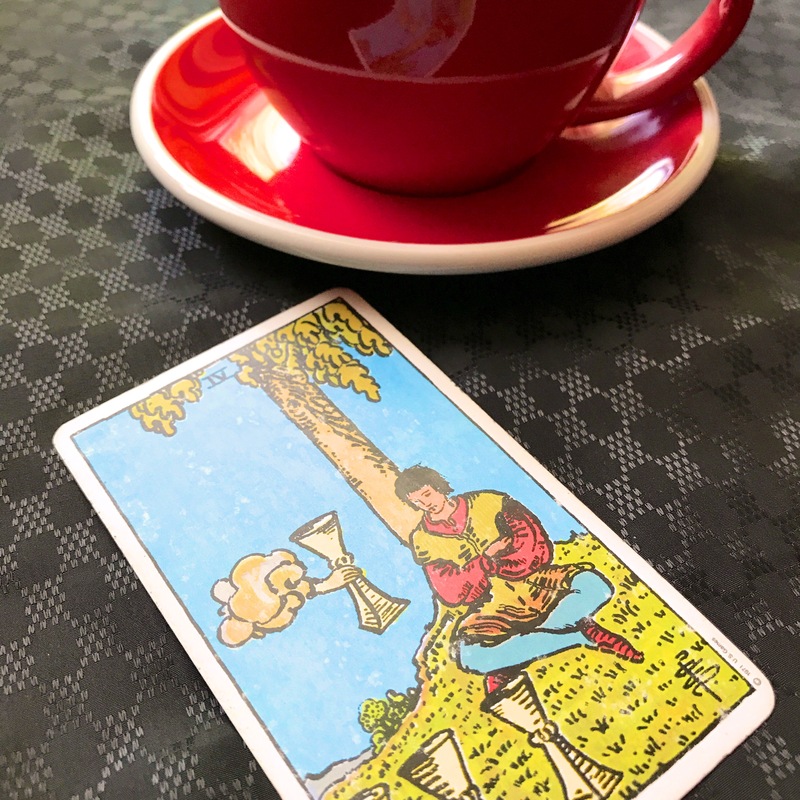 Although I do want to know from you fellow tarot reader (if you are one ofcourse); if you have had experienced similar oppressions of your psychic self also. Please let me know if you put on your blinders every morning: you may always mail me at tarot (here goes the monkey tail thing) celesta.nl. My psychic journey already started when I was 8 years old (1974); from the age of 11 my mom became active in the world of magnitizing people and became a very successful healer. We often visited paranormal fairs where my mother also had stands. I never liked Tarot and most certainly was NOT on my wishlist too. At 18 I had my first real psychic reading experience which I did myself and left me flabbergasted about it. All my life I have been scanning people; I always have been very perceptive and at times very clairsentient too. When I was a kid and teenager I often had very predictive dreams and sometimes saw very fast flashes of general various life scenes with or without people in it. During conversations with people I mostly always know how they feel or what is happening in their life. Vaguely clouds at home too sometimes belong to my world and little men dressed like Cinderella who fly around on tiny unicorns who they park in my closet. Oh no that last thing I’m just making up, let’s stick with the vaguely clouds. From a very early age I already experienced at many different occurrences that out of nowhere predictive answers/words popped up inside my head. From raffle via guessing numbers to knowing people’s names or predictive dreams I tried to find my way through a lot of noise inside my head. But I didn’t really doing a good job at ignoring the crystal gazing which seemed to took place in my thoughts. I Continuosly heard uninvited words and phrases in my head which was often a busy affair to me. That sometimes I had to strictly address myself all the thinking and feeling had to end once and for all. To some extent I managed to do that but mostly it was kind of a fight with myself and sometimes exhausting too. 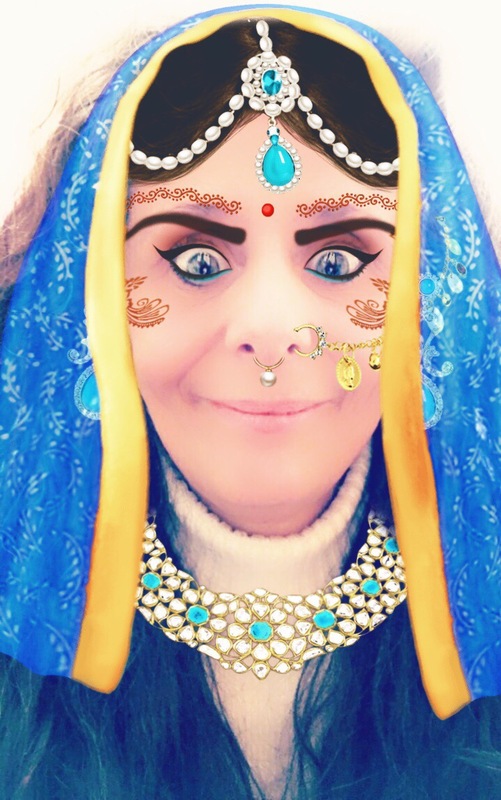 So eventually I put a paper bag over my head when I went shopping; leaving street passants slammed against street lamps in wonder what had gotten into that silly girl. The paper bag though was a rather old bag, because other family members had walked that same streets with that thing on their heads. That’s why they called us the ‘paper bag’-girls. Oh what a stupid chatter; just trying to break through the unmeant bragging part of the whole story. My mom, my grandmother and her mother had all psychic skills. All lived their life with total suppressed feelings; in that time it was most awkward to talk about those things let alone practice it. Mom was the first to break through the family tradition of hiding psychic feelings. Although it never came to the point for my mother to actual practicing her psychic abilities. It stayed with healing other people and she encouraged me to develop my own psychic skills though. Which ofcourse I gladly didn’t, as a rebellious daughter suits well (sigh). I always have been really interested in the paranormal and related stuff, but it soo didn’t made sense to me to do something in that particular sector. I really tried to live my life with other purposes and goals. I had other plans that I wanted to do and eventually became a SuperStar, or was it coffee entrepreneur in 1989. I became importer of Italian espresso coffee (which is very close to being a superstar), Pumpkin seed oil and Barista coffee cups. I also published 50+ own websites, was producer of a kids TV channel (where we interviewed international superstars though), photographer on the red carpet (and where I immortalized them on film). 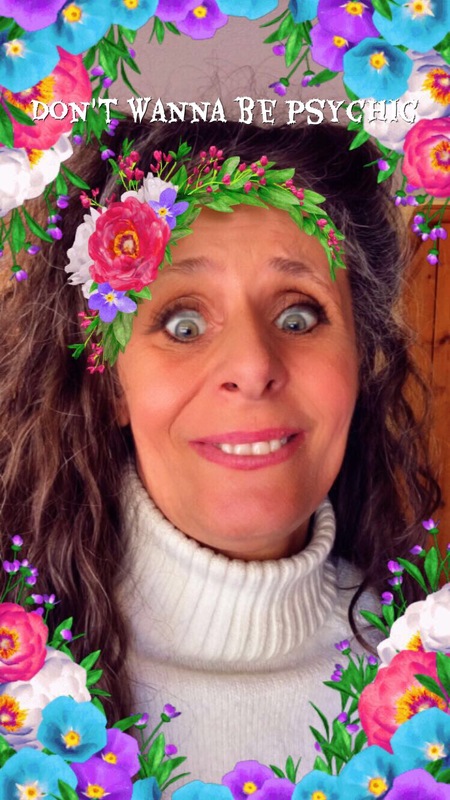 Then iIllustrator/graphic designer, webhoster and designer, writer and mother of hyper realistic artist Rajacenna (who became a worldwide known drawing superstar; (which is also close to being a superstar). Tarot reader was again not on the list yet (because that was not superstarry enough). Pff are you exhausted yet; well I am. I tried as much as possible to express myself through ‘normal’ behaviour and earthly things. The way to do that was just throwing myself in working hard and do the things I wanted to do. During my “normal” life in society, my psychic goods always hunted me. Even the first time I was in a casino (1989/27 yrs old) it didn’t leave me untouched. First time I’d ever played at the roulette table I choose number 21 without thinking about what number it had to be. Well I don’t know if I was much surprised about it, but in fact number 21 won. Ofcourse the game went right on and three seconds later I told the croupier that I wanted this number 21 again because the same urge in my body was there. When I write this blog and think back it still feels so vivid; like it happened yesterday. I still exactly remember which sensation I felt when again number 21 won. That evening I won €200/$225 with playing two times. Soo as you can imagine; I used this major ability to my advantage and it eventually made me a millionaire. Uhh well, to be honest, that’s not exactly what happened. I decided right away that this was the last time I played at the casino for me. Just like the psychic reading I did for the woman when I was 18 (1984) I got scared this time too of my own psychic abilities. So again I said to myself: “it’s not going to happen again” and from then on avoided casino’s. I have to write a remarkable addition to this story which happened to me recently. While cleaning our house from old and useless objects, I came across an old game from my husband: a little roulette game meant for kids. Before giving it away to the second hand shop I wanted to try the game one more time. And like I said previously: after having won two times back then, I hadn’t played anymore. I was alone, took a relaxed seat, already gave the little wheel a big swing and immediately there (unmeant) popped a number in my head. I threw the little iron ball in the opposite direction from the direction of the wheel and patiently waited until the wheel and little ball stopped. And like the very last time I was at the casino, again, 23 years later, I had chosen the correct number which this time was 36. I was surprised that again from the few times I played roulette in my life; my psychic vision didn’t let me down. Few days later I showed the roulette game to my mom and she too wanted to play and gave it a try. Well like mother like daughter: she immediately won the correct number also. Well I could be wrong here, but as far as I can judge it now: my mother and I could have been multi-millionaires with our guessing-the-right-number skills. Buttt we are not, because because…. Another time when my psychic self tailed me I was enjoying myself on fairgrounds for kids. It happened 3 times (over the course of 3 years) that I suddenly became in a hypnothised state, started to walk quick and in a straight line to a random fairground attraction (pushing people away on my way, screaming ‘coming through’; well at least in my head I did) and said to my husband: “I want to buy a lottery ticket for this”. At such a moment I felt an incredible weird almost magic attraction towards that particular fairground attraction. There was no way I could not resist this unbelieveble enchantment. Those three moments were the times I won the very first main prize 3 times on seperate occassions. I won a cool cross bike and 2 mega super (human length) big bears those three times. At the time my daughter was just three years old so it all came in handy for her. Although I tried very hard to ignore any form of psychic abilities, I didn’t seem to get out of scanning other people. And boy; did I had fun with that: not. Wherever I went and met or even saw other people I looked into their eyes and often instantly saw what took place in their lives and how they felt. I exactly saw that the night before they had eaten spinach with chop and if someone wore two different socks three days before or that their cat had stolen the remote control….well kind off. On purpose I always tried to shut off my psychic system from people on tv and people in real life and especially phone calls. I often really can not talk or better said listen to people without seeing a whole story behind them and that I don’t want to know. As hard as I tried, shutting off my system is not really one of my better qualities. My dreams aren’t any better; especially as a kid I exactly experienced what I had dreamed, with details and all included. Mostly they were everyday scenes, but one time I got a real disturbing dream. A particular important day in today’s history was about to take place without me realizing it. I dreamed of a huge building in the middle of our city, but with a slightly different surroundings than our own city center. I remember to have a very frightening strange feeling in my dream which didn’t feel right and I never had before. This building had a big burning fire inside on top of it and I saw smoke coming out on all sides of it. People were fleeing away everywhere; it looked like the whole city was fleeing and there was a tremendous panic amongst them. Everybody was running out of the city center and then I remember suddenly being on the highway where were chaotically running people everywhere. I didn’t understand what was going on in my dreams; what were all people doing there and why was there a big chaos on fleeing people. It was a very intense dream which I still see the details even today in my mind when I think about it. Then two weeks later; it was the year 2001, 11 september to be exactly, my mom called me from her holiday address in the Netherlands. And the rest of the story the whole world knows. I immediately understood that this was the dream I had two weeks before, because I was used to the fact that real manifesting of my predictive dreams always took place within 2 weeks. Although in my dreams I only saw one building, I instantly knew that this wasn’t just a coincidence. The building looked exactly like one of the Twin Towers; so I knew. My dream was a very vivid one with lots of the same little details we all know from the television screen. But what could I have done: nothing! In my dream, for me, it absolutely wasn’t clear obvious what it was all about. In my dream it didn’t refer to an exact place and/or time; and even as it had been the case: nobody should have believed it anyway. Not that I would have cared, because I know what I dreamed, I know what I saw, I know what I felt and I am perfectly down-to-earth to make distinctions between general ‘meaningless’ dreams and actualities based on more than nightly fantasies. Untill this blog I never shared this prevision story with anyone besides my husband. I really don’t know why I’m doing it now, it totally is of no use. And ofcourse there will be those people who have their own oppinions about it. Well about this last thing: I don’t care much, like I never care what overly smart slash frustrated people have to say. All in all I maneuvered through life experiencing what I didn’t invite in my life, avoiding people and situations. During my past life because of that I created this major talent of often going against my own stream, ignoring most of my intuition. So now you know why I look so incredibly decrepit and look like I might be seeing Ogurs hopping around on Kangaroo balls all the time; well …then it probably is haha. Anyway trying to shut off my psychic system was not really a good idea. Result: you are going to block a lot of easy path ways and natural flows and this is not good for you. So if I have to give you tips on how to block your psychic abilities if you don’t want them interfering in your life: I can’t. Although I already at a very young age learned how to do that; it didn’t work for me. I was taught to put a big white circle around myself in my mind. The white light could prevent outside information from coming in. Well…. I tried that you know. I pulled a huge white light bubble around my whole body. I couldn’t see it very good myself, but I bet it looked great on me. Next thing I know is that people were knocking on my beautiful self made light bubble. I even had to warn them: please don’t break my cool looking white light people. But they didn’t listen to me. Instead they ‘asked me’ what on earth (as far as I knew I was in my mind) I was doing in this weird looking white thing. “Well…”, I stumbled. “Uhhh; I don’t know. I was trying to get away from all your disturbing…. blieb blieb”. As soon as I said that, the bubble instantly bursted. I tried the method a million times; but it just stayed with these kind of white light adventures. I was getting all kind of blocking tips along the lines of shutting your chakra’s and stuff. Me with bulging eyes: I have nothing with chakra’s. But you know what: avoiding situations, ignoring people, focussing on work of other things always worked. Well; a little. Just tell yourself in your mind that you don’t want to know anymore than how people look like and what they say. Don’t try to look any further than what you physically see and hear. You have to talk to yourself and instruct yourself to go as this far and not a bit further. If you are looking for other ways to turn down your psychic abilities. Then I suggest going to this website: https://www.amandalinettemeder.com/blog/2014/5/31/howtoturndownyourpsychicabilities . I think Amanda can explain it perfectly for you and she has got methods of different sorts. If one method is not your thing; then use another one. Next time I will be sharing the moment Tarot made it’s entrance into my life. I started to be a successful incognito tarot reader, but all without any psychic interventions.